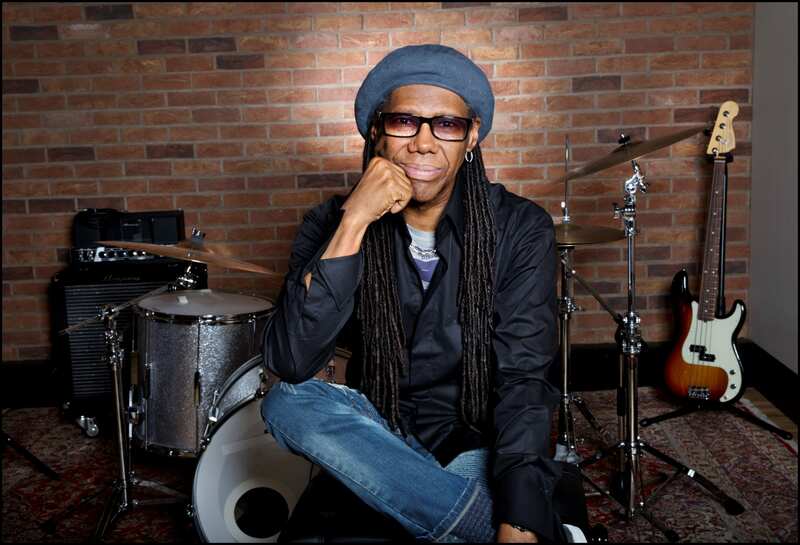 Nile Rodgers, legendary singer, songwriter, producer and co-founder of Chic will be performing at The Breast Cancer Research Foundation’s Hot Pink Party on May 10 at the InterContinental Boston. We spoke with Rodgers and he shared with us his love for dance music, the new "Chic" album featuring several artists and fills us in on his time at Coachella. Nile Rodgers, the godfather of disco! Amy Fischer: We’re incredibly excited to have you here in Boston for the annual Hot Pink Party in support of The Breast Cancer Research Foundation. Is the vibe different in the room when you’re performing for such a charity minded audience? Nile Rodgers: I can’t tell, but it must be because this is our fourth time doing something and it's like we are becoming the house band now. It’s really fun, people have a blast and we love it and it's magical! We have done two in the Hamptons and two in Boston. I think that because our music is so celebratory it makes typical galas and fundraisers feel differently and honestly this is just me making a guess, because I don’t sit on the board so I don’t know what the board says after we play, but they must say something good. You recently performed at Coachella, tell us everything! Who inspires you today in music? NR: Every single person I work with, as I just worked with several different artists and every last one of them inspired me and I had the time of my life. I just finished working with Bruno Mars, Anderson .Paak, Nao, Mura Masa, and Ray BLK. In the hour or so that I was at Coachella, I was able to see a few friends, including Jessie Ware, gave her a big hug, my friend from Chromeo gave him a big hug, David Byrne, Patricia Arquette, and Billy Idol came and jumped on our stage, that was great and hysterical. Tell us about the cancer blog you started called "Walking on Planet C." What inspired you to share your story? What new projects and collaborations do you have coming up? NR: Chic, and the huge amount of artists that I have collaborating on the Chic album which runs the gamut as far as the band, HAIM, Debbie Harry, Nao, Mura Masa, Elton John, Janelle Monáe, it's just crazy. The new Chic music will be released later this summer. It is a lot of people on the record, I think it’s a little bit unfair to think about all the different people on the record as much as it is to think about the compositions. If you think in terms of Chic as like a jazz group or a symphony orchestra like the New York Philharmonic, there may be people who are soloists, but you basically go for the repertoire and that’s what it is, they become part of the narrative of this new repertoire and that’s what it’s really about. It’s not about saying we got so and so on the record and that’s one thing I never wanted to do. Chic has never pandered to the market, we have never believed in that, since we were this anonymous group it didn’t make any difference, either the record is amazing or it’s not. What is your vision for the future of music? NR: I have no idea, but I know that I’m gonna do exactly what Eric Clapton said to me one day. I was producing an Eric Clapton record and he pulled me aside and said, “Nile, I’m going play blues for the rest of my life." And I went, "Wow, that’s so unfair that means whenever I see an Eric Clapton show I’m not gonna hear sunshine on your love or in the presence of the Lord and all the old cool clean songs and blind faith songs and Leila and all that." But you know what, he has that right and that’s what he said he was gonna do. So I went home and I contemplated where he was coming from and said, I’m going play dance music for the rest of my life, how about that!